While in South Carolina, I took a walk by a pond at our stop in Bluffton. 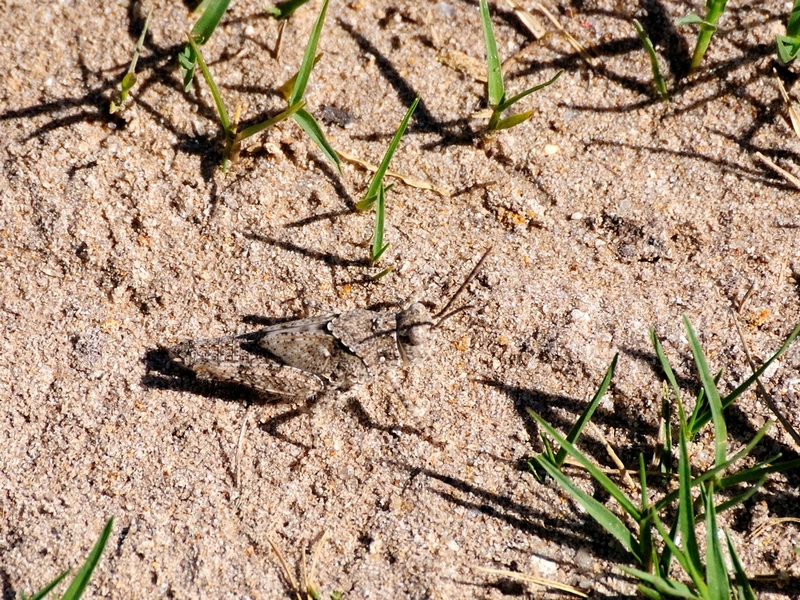 I stood still for a while just watching for unusual movement and was able to find these two very well camoflaged grasshoppers. I haven’t got the names on them yet. I only saw the brown one at all as it flew by me and I had to crank the contrast up a bit to make it clearly visible in this picture. You really need to click on the brown one and look closely. What appear to be it’s legs are actually the shadows of it’s legs. The actual leg is so close to the color and texture of the sand that it is difficult to see even when enlarged at high resolution. 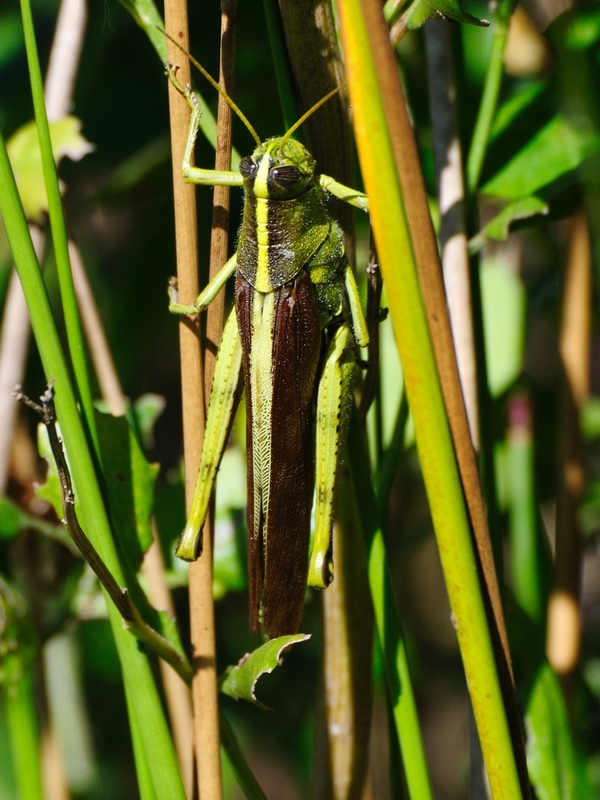 This entry was posted in animal behavior, Bug and tagged grasshopper, Photography. Bookmark the permalink.